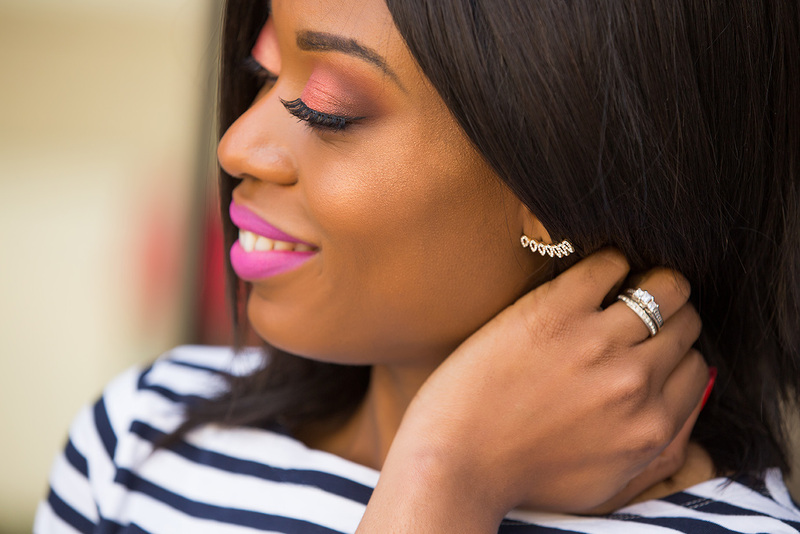 Striped tops are must-haves for every wardrobe and they come in handy when mixing prints or styling looks for casual or formal events. 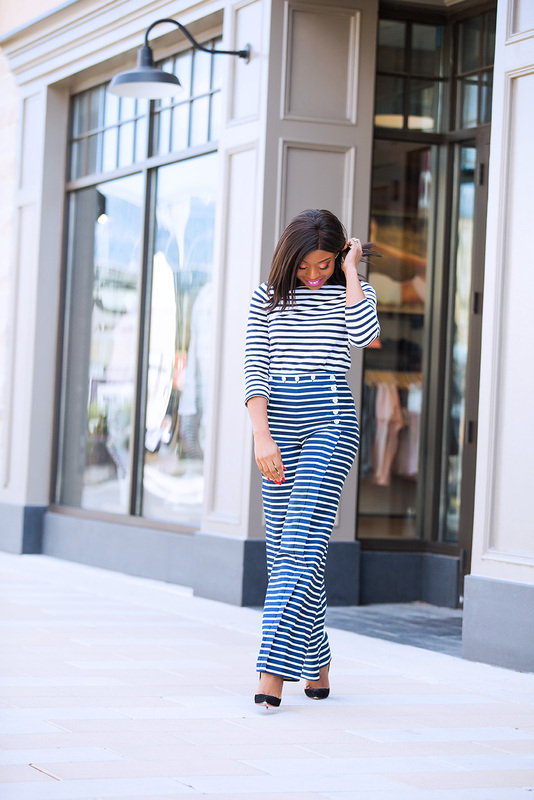 I have had the striped top on this post for years and I have styled it in different ways and for a work style too. 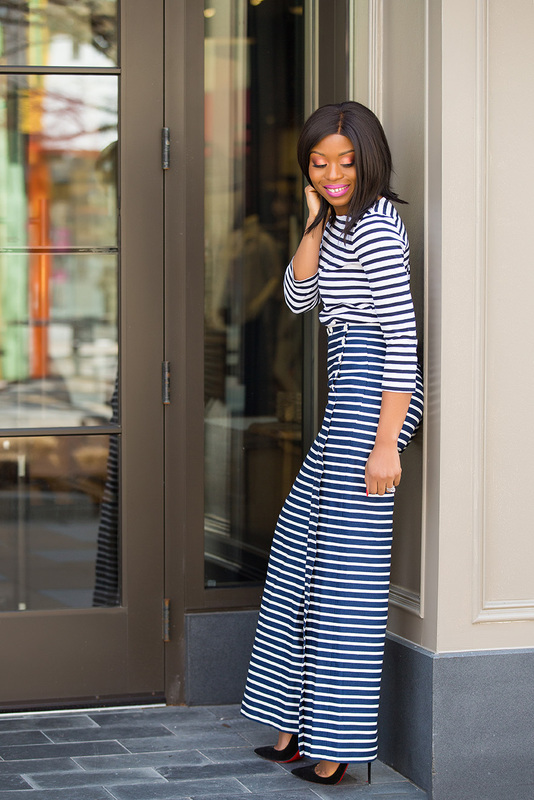 For today's look, I paired the striped top with striped sailor pants. 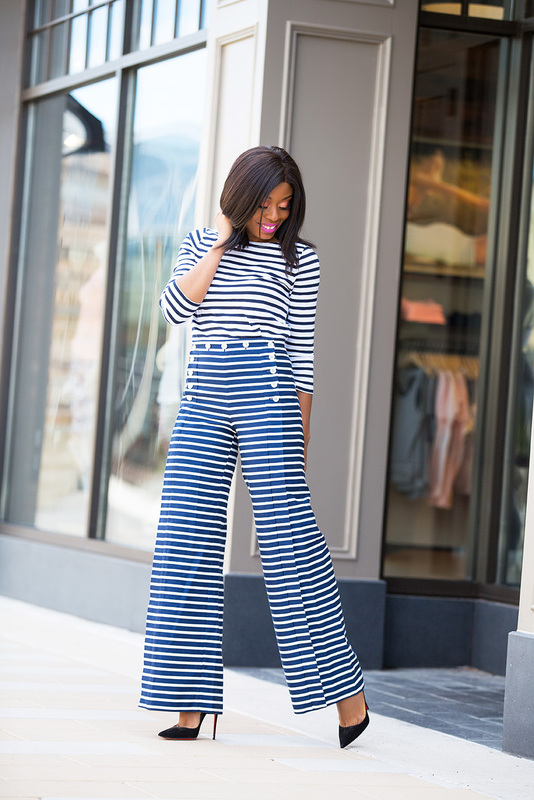 The nautical-inspired pants are high-waisted with wide legs. I love the front button and lace-up back detail... great pants for spring. This is such a fun look! I am getting all kinds of spring/summer vibes!! I love the combination of stripes. Great look! You are always on point! The striped top, pant and trouser looks wow. How many days will take to deliver if one other for it. I really like to know.